BOOTS. Does anyone know who makes these awesome boots?! I think I’m in love. 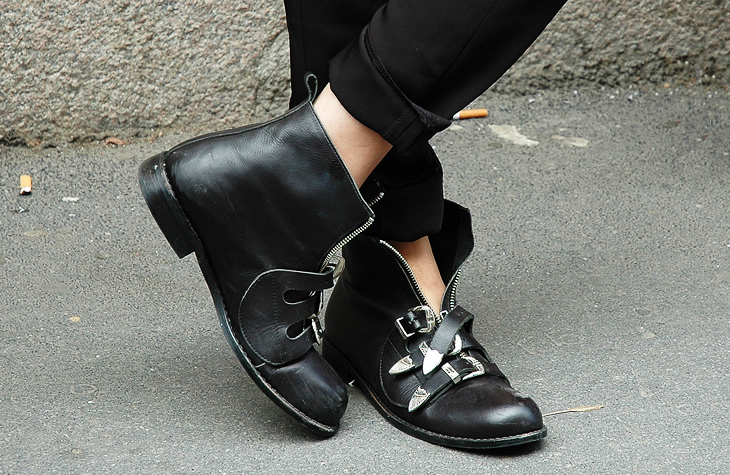 This entry was posted in Fashion, Inspiration, Uncategorized and tagged Boots, Zipper by Carolina Engman. Bookmark the permalink. Not sure who makes those specific boots, but I have been lusting over a similar pair. åh, de är ju underbara! UNDERBARA! Eller Chloe Sevigny for Opening Ceremony.